$0.00 & FREE Shipping on orders over $59. 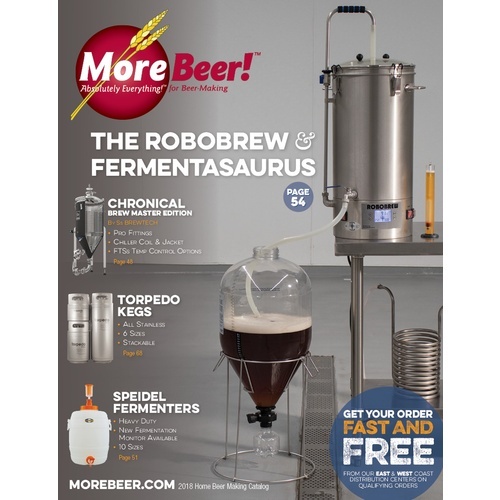 The Double IPA of Brewing Catalogs Just like a Double IPA, the 80 page, MoreBeer! homebrewing catalog is big, packed full of flavor, and might leave you drooling! Not a lightweight seasonal version, this is the real deal and contains nearly every product we sell from starter kits to the most advanced homebrewing systems on the planet. My daughter's dog ate the first one and I need a decent reference.